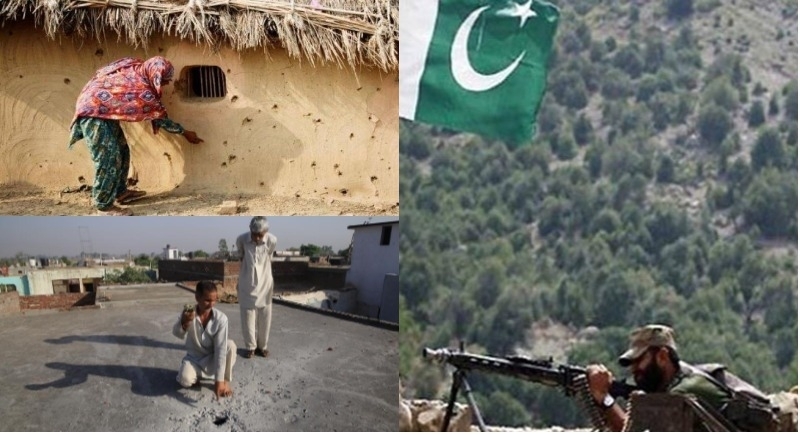 New Delhi, June 9: In the year 2018 so far, Pakistan has violated ceasefire pact with unprovoked firing over 1,000 times but still the Indian government hopes that Islamabad will adhere to the 2003 truce agreement. Notably, External Affairs Ministry spokesperson Raveesh Kumar in a weekly media briefing said that there have been more than 1,000 incidents of ceasefire violation by Pakistan this year and India hopes that Islamabad will adhere to the 2003 truce agreement. Raveesh Kumar further said that the ceasefire violations were being used by Pakistan to aid infiltration of terrorists. “Whenever there is an unprovoked attack on the borders, the matter is taken very strongly with the Pakistani side as it involves loss of life and property,” he added. While responding to a question, the External Affairs Ministry spokesperson said, "In 2018 alone, there have been more than 1,000 cases of ceasefire violation by Pakistan. We have maintained that the ceasefire violation by Pakistan is used as a cover to infiltrate terrorists into our territory and we have seen the results of such infiltrations in the past. We hope that Pakistan will realize what it is doing and adheres to the 2003 ceasefire agreement between the two countries in this matter." The reaction of External Affairs Ministry’s reaction comes in the backdrop of a recent terrorist attack in which two soldiers were injured while on a patrol near the Line of Control in Keran sector of Jammu and Kashmir. Last week, the DGMOs of India and Pakistan agreed to fully implement the ceasefire pact of 2003 in letter and spirit forthwith to stop cross-border firings in Jammu and Kashmir. However, there have been incidents of ceasefire violation in the past week too.